Several years ago, the Route 50 corridor from Aldie to Upperville became a part of Virginia’s traffic calming operation. Aldie received three impressive traffic circles in and around Gilbert’s Corner, while Upperville saw expansive brick paved speed bumps and new medians. Although the work with asphalt certainly helped to slow drivers through the quaint villages, I think something else is working to slow them as well—smart landscaping. 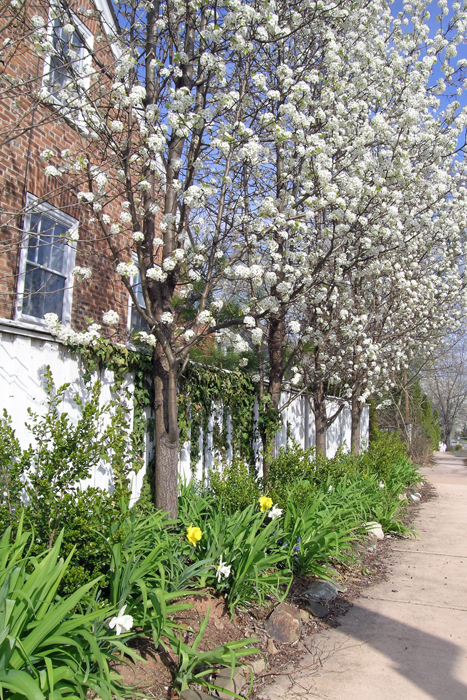 Upperville in the spring is a driver’s delight, with dozens of flowering trees, hundreds of daffodils and various other flowers all in bloom along the roadside. It’s no wonder that traffic slows down. Perhaps in the future the Virginia Department of Transportation could just skip all the fancy concrete work in their traffic calming ventures and simply plant lots of different vegetation for people to admire all year long.